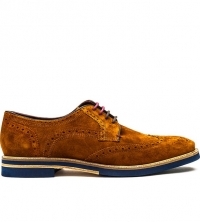 The classy Archerr 2 Mens Shoe in Tan Suede by Ted Baker offers sophisticated style with a deluxe contemporary finish. 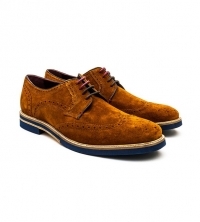 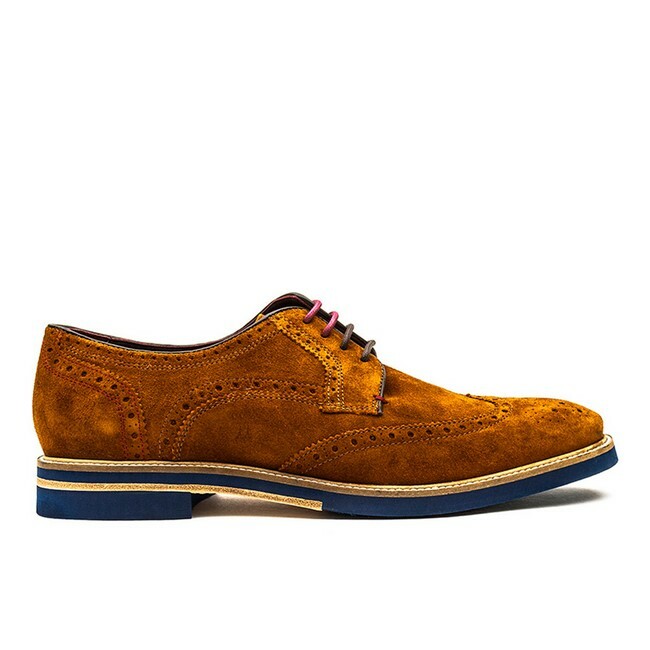 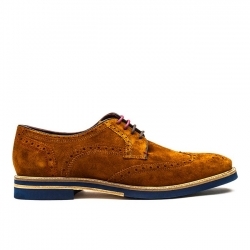 These brogues have a classic masculine silhouette, with uppers made from supple suede in tan brown. The shoes are lovingly detailed with perforated patterns at the heel counter and wingtip, and have dual tone laces plus a contrast outsole and heel for an trendy effect. 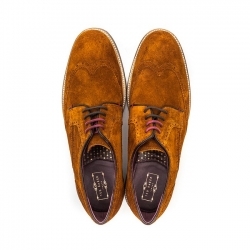 The sole is mixed synthetic and leather for a durable finish.